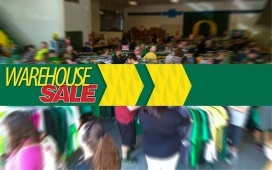 All Oregon Sample Sales, Outlets and Stocksales in one place. 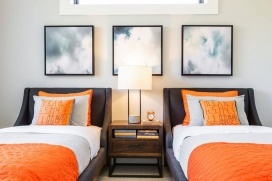 The list of all sample sales, stocksales and outlet stores in Oregon. 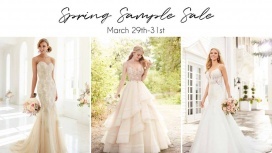 Shop for bridal gowns at discounted prices at the A&bé Bridal Shop Spring Sample Sale. 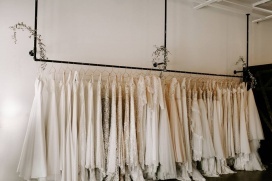 Take up to 90% off on designer gowns at The White Dress Portland Spring Sample Sale. Call (503) 206-4852 to book an appointment. Take up to 80% discount on men and women's apparel, memorabilia, and art supplies at The Duck Store Warehouse Sale. Find great deals on art, accessories, lighting, and furniture at the Chancellor Designs Annual Warehouse Sale. Shop for men and women's sportswear at discounted prices at the SportHill Spring Warehouse Sale.